Get your sport on: If you live for sports, Frisco is definitely the place to be. With the Texas Tornados, Texas Legends, Dallas Stars, FC Dallas, golf courses, trails, sports bars, running clubs, and biking clubs (just to name a few), you are sure to fulfill your last days with pure sports bliss! Shop til you drop: Frisco is jam packed with every store under the sun including Stonebriar Centre, IKEA, Shops at Starwood, and Furniture Row. If the stores are where your happy place is, then look no further and fill up your week with an endless shopping spree. Relax and unwind: If the end of the world has you stressing, stop worrying and start winding down because Frisco has a handful of rest and relaxation spas. The Stonebriar Spa is my favorite spot offering massages, facials, manicures, pedicures, body therapies and spa packages. Get fast and furious: Have a need for speed? No time like the present to get out and get your hands on a Corvette. Rent-A-Vette, located in Frisco, has you covered with both coupe and convertible options. No time like the present to pick up a little racing habit! Ride the wind: Get upward 1,500 feet and explore the sky while overlooking the Frisco landscape in a hot air balloon. Fear of heights? Well if the world is ending anyways, its time to throw caution to the wind and ride it instead! 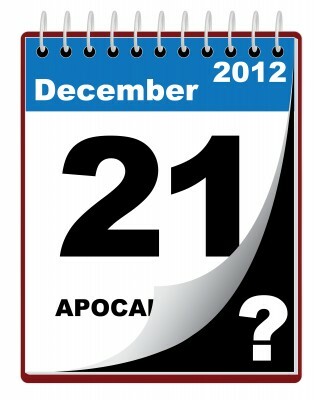 Fine tune your survival skills: Maybe we are all looking at doomsday event and not the end of the world. Only time will tell, but why not refine your survival technique while you wait. Frisco has karate classes, rock climbing, and firearms training to all better help refine your abilities to survive in any doomsday situation. Check out these tips for more info on prepping! When all else fails, drink: If you have accepted defeat and are leaning towards towards the bottle this week then Frisco has plenty of options for this as well. There are plenty of bars, or explore Wine Cellar or the CrossRoads Winery. It may be now or never! Don&apos;t fret too much, though. You don&apos;t have to travel far to check these last things off your final list since Frisco plays host to them all. But then again, even if the world doesn&apos;t end on December 21, 2012, at least you will be able to say you&apos;ve lived life like there was no tomorrow! May the force be with you, Frisco!